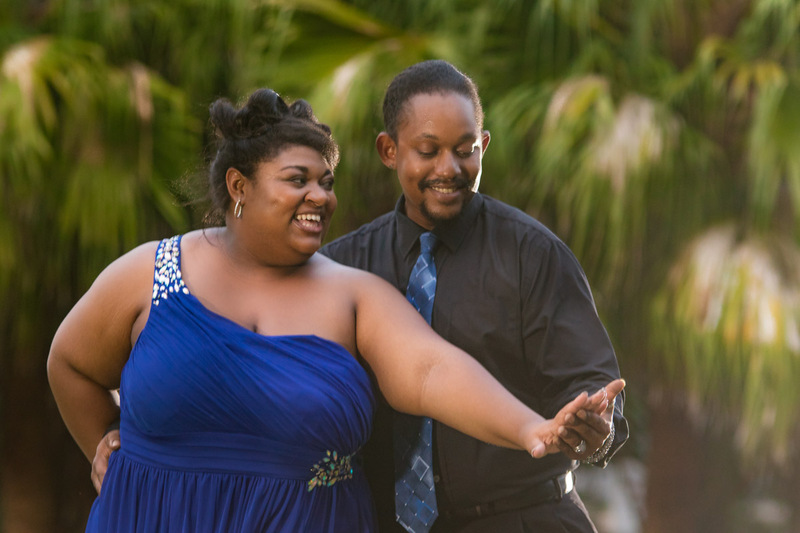 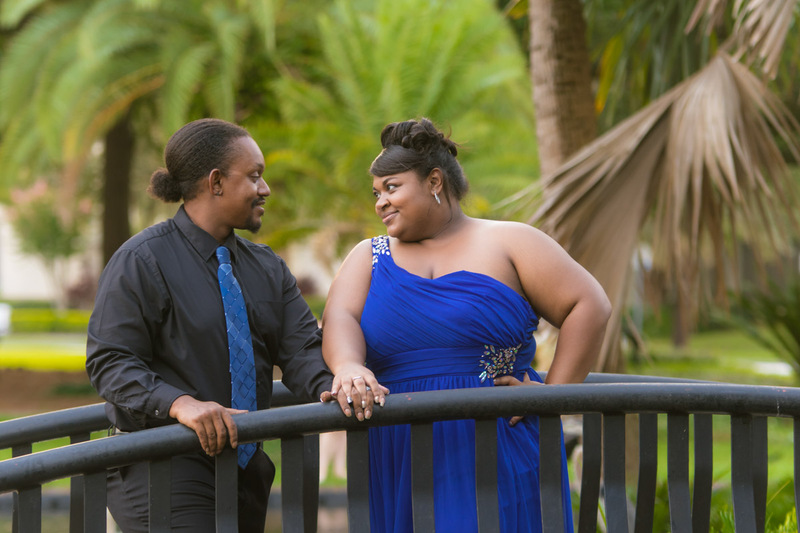 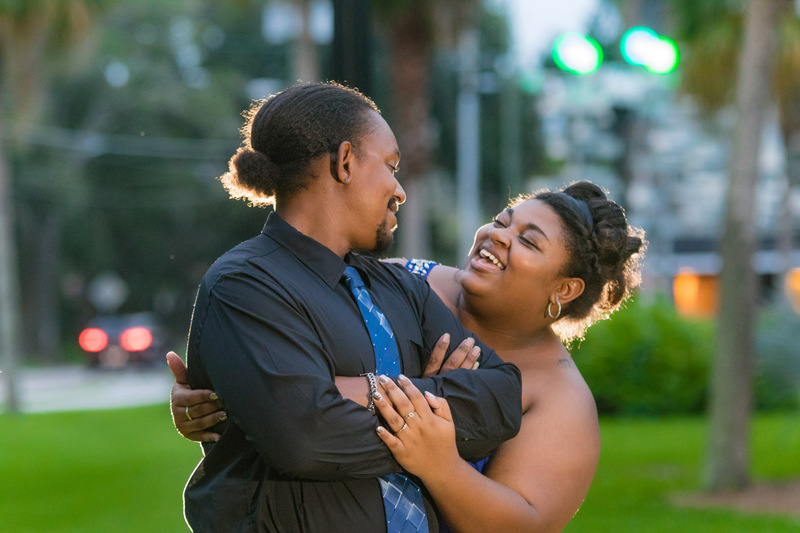 We had such a fun time with Melany and Jerel who come all the way from Pennsylvania to do their engagement session! 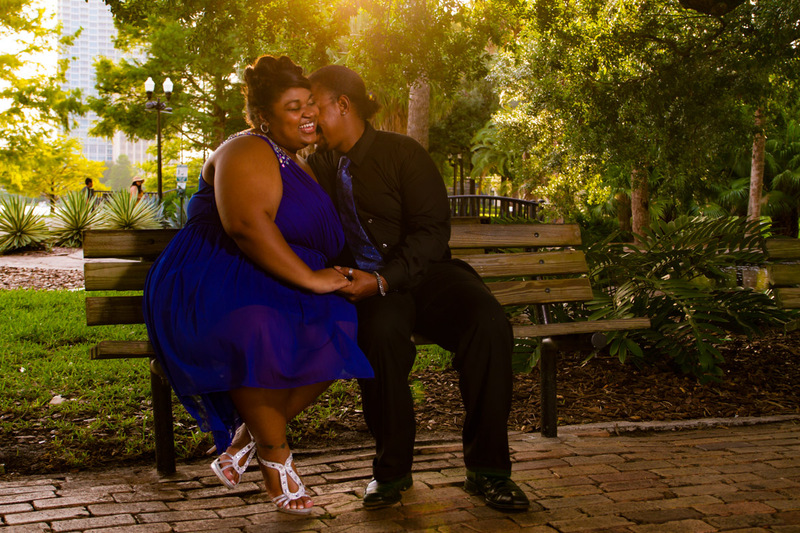 They are having their fabulous wedding here in Orlando where friends and family reside! 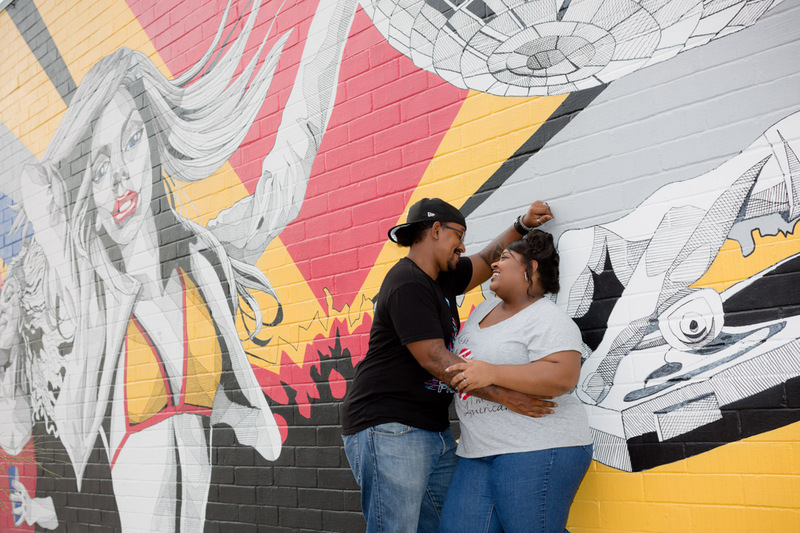 Well we first started at the awesome murals that are on Colonial Drive that displays Jerel’s character because he is a freelance DJ and businessman who knows what he wants! 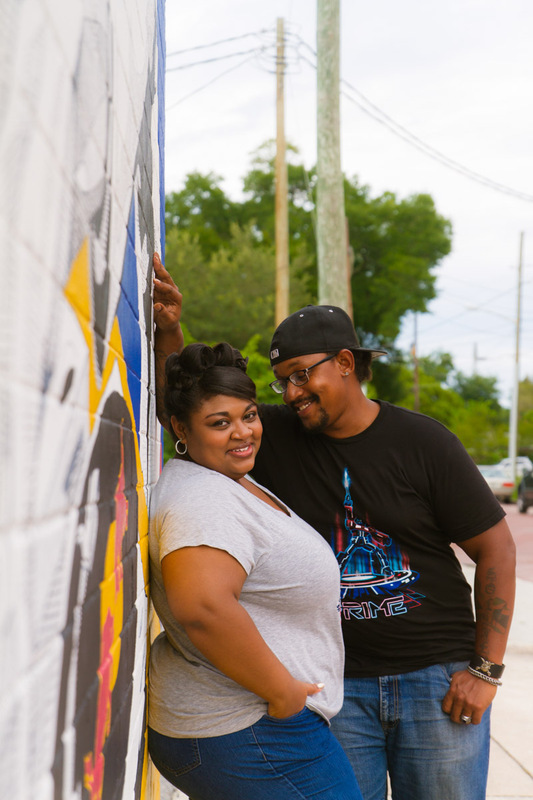 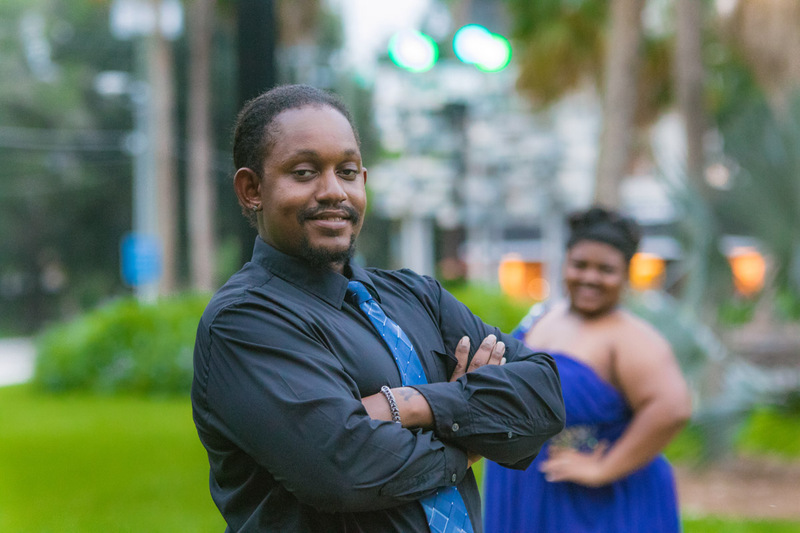 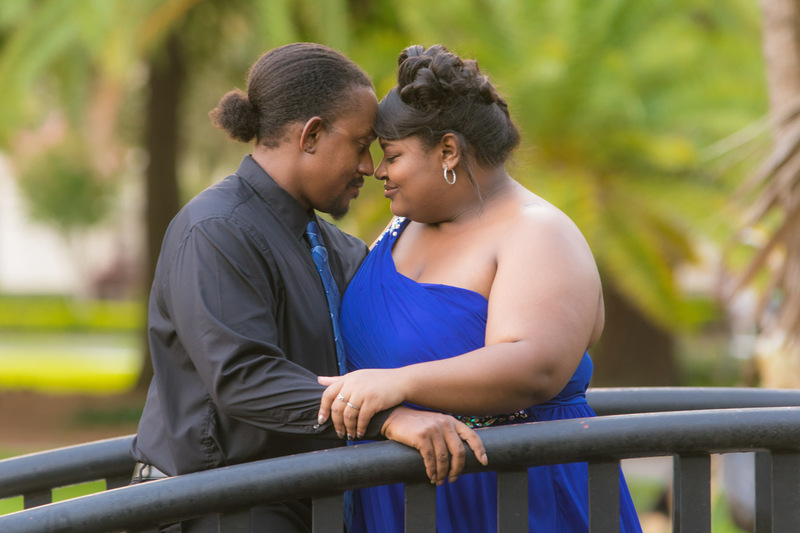 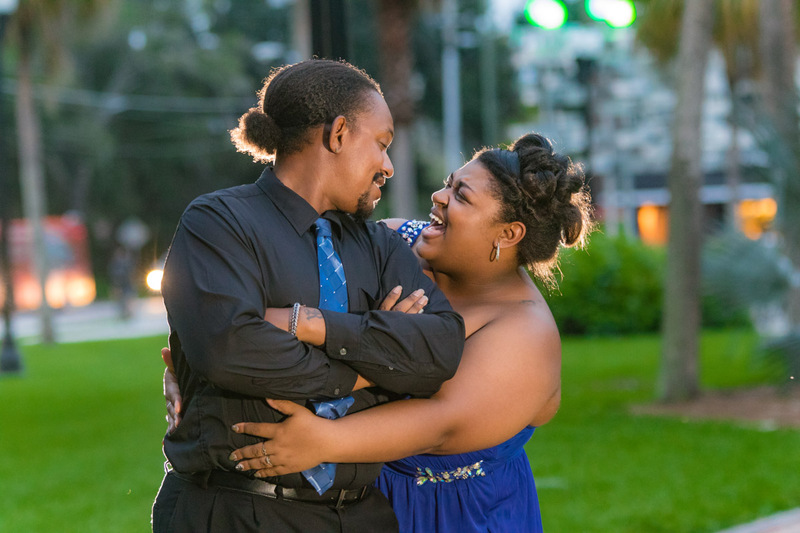 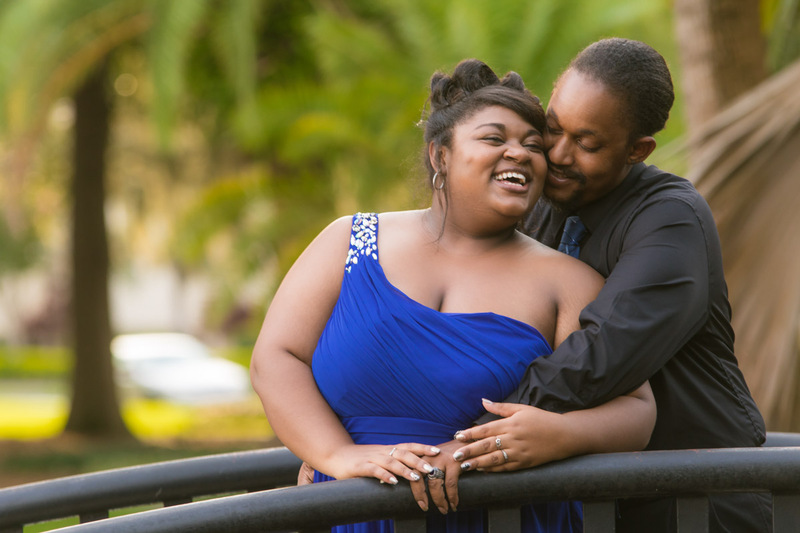 Then after the murals we headed on to Lake Eola where we took more portraits that displayed their fun filled character and intimacy with each other! 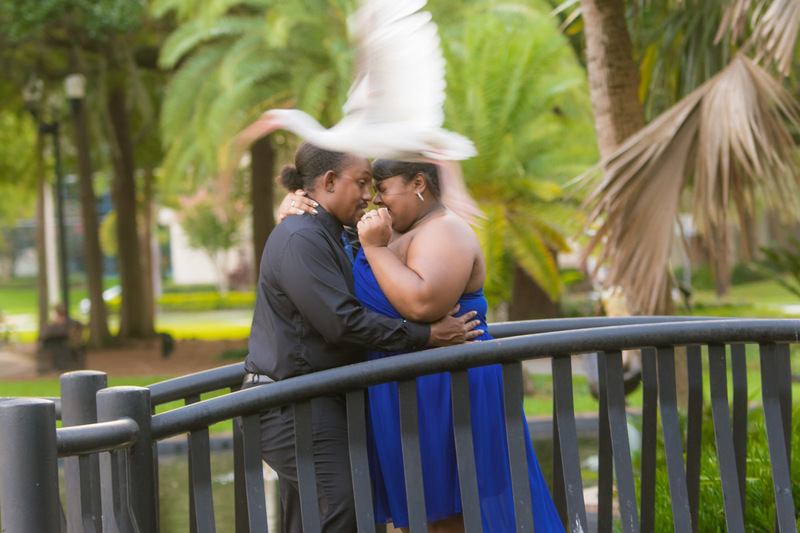 Also we had a funny moment when a bird nearly swooped in and I could not forget to include the face she made when that bird flew by! 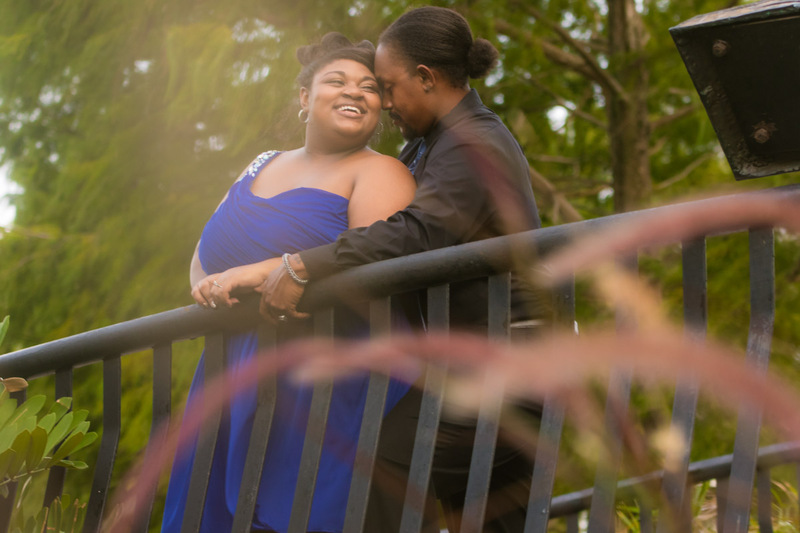 Its moments like that, that make it awesome and memorable! 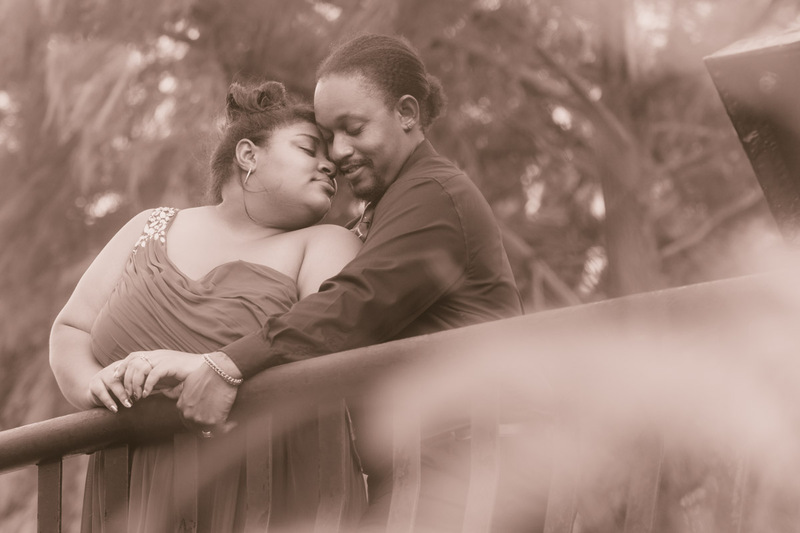 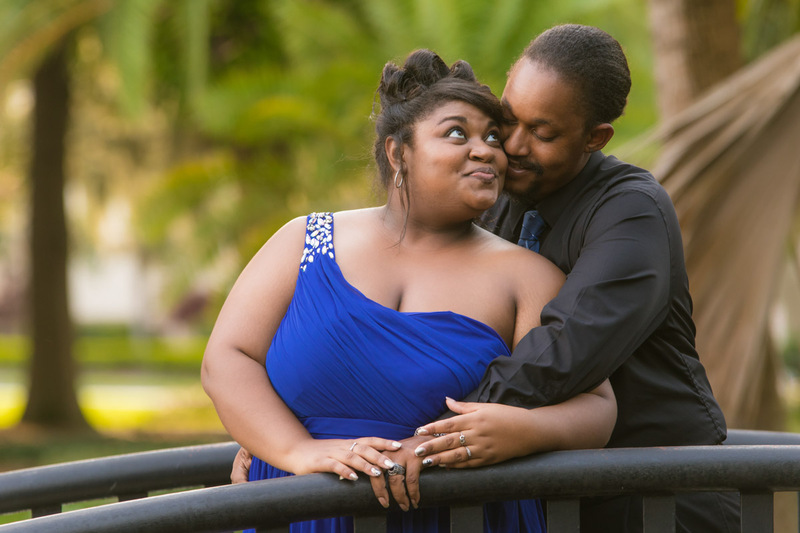 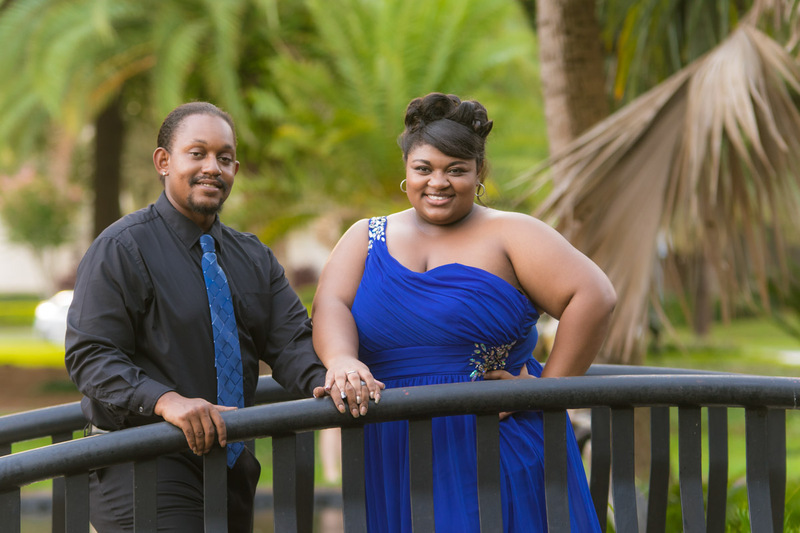 Well without further a due here are Melany and Jerel’s Engagement Photos!